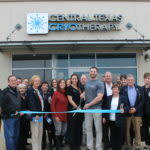 Central Texas Cryotherapy, LLC is a new business at Creekside located across the street from Resolute Health hospital. 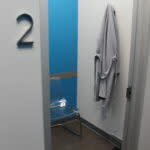 They offer Cryotherapy (whole body), Oxygen Bar Therapy, Infrared Sauna, and Compression Therapy at individual rates or as a package. 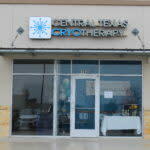 Stop by and check them out! 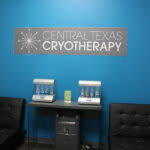 At Central Texas Cryotherapy we offer cutting-edge services that produce dramatic results, make people feel better every time they visit and helps stimulate the body’s natural defense mechanisms. Every day, we help customers achieve their goals around sports performance, pain management, recovery, beauty and overall wellness. 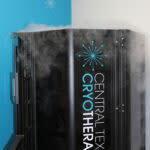 Today, our wellness modalities include Cryotherapy (whole body), Oxygen Bar Therapy, Infrared Sauna, and Compression Therapy. 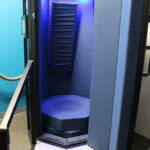 Our knowledgeable and friendly staff is always ready to help you become a healthier you!